Doors open at 1:30pm. Movie begins at 2:00pm. Space is limited so come early! Some scenes may be too intense for youngsters – click here for a 10-minute preview of the movie. 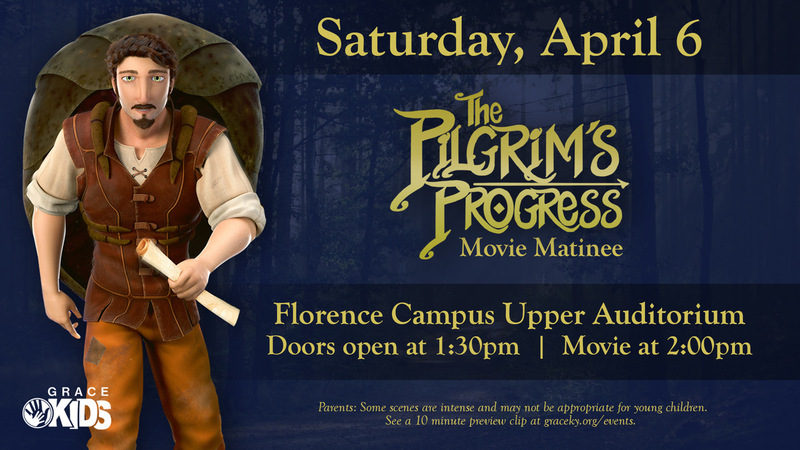 Bring your family and join us for a premier showing of John Bunyan’s epic masterpiece, The Pilgrim’s Progress: A timeless story of faith and courage (not yet in theaters!). Join us as we journey with Christian from the City of Destruction to the Celestial City!